2. Only Ministry of Secondary and Higher Education determinate application form can apply otherwise application will not accept. 1. Assistant Programmer, Garde:09, Number of Vacancy: 01, Educational Qualification and Experience Please see Advertisement. 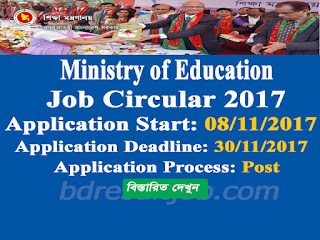 Every Interest legal candidate to www.moedu.gov.bd or www.dshe.gov.bd or below application form download and print their application form. Only Ministry of Secondary and Higher Education Office determinate application form can apply otherwise application will not accept. a. Passport size photo 3 (Three) copy photo (Attested by 1st Class govt. officer name and post with seal). b. 300/- Trajari Challan (1-2531-0000-2031) Pay to আই.সি.ট ’র মাধ্যমে মাধ্যমিক ও উচ্চ মাধ্যমিক স্তরে শিক্ষার প্রচলন প্রকল্প (পযায়-2). c. You must Return Envelop 4.5 inch * 10 inch Attached 10/- Post Card which you found Admit Card (Write your Present Address). 10. Written test pass after Viva Test Important document. a. Every Educational Qualification Certificate and Mark sheet Photocopy (Attested by 1st Class govt. officer name and post with seal). b. Character Certificate (Attested by 1st Class govt. officer name and post with seal). c. National Certificate/Birth Certificate (Attested by Chairman or Commissioner). Ministry of Secondary and Higher Education authority will send you Admit Card by Post. Also can update news at www.moedu.gov.bd or www.dshe.gov.bd. 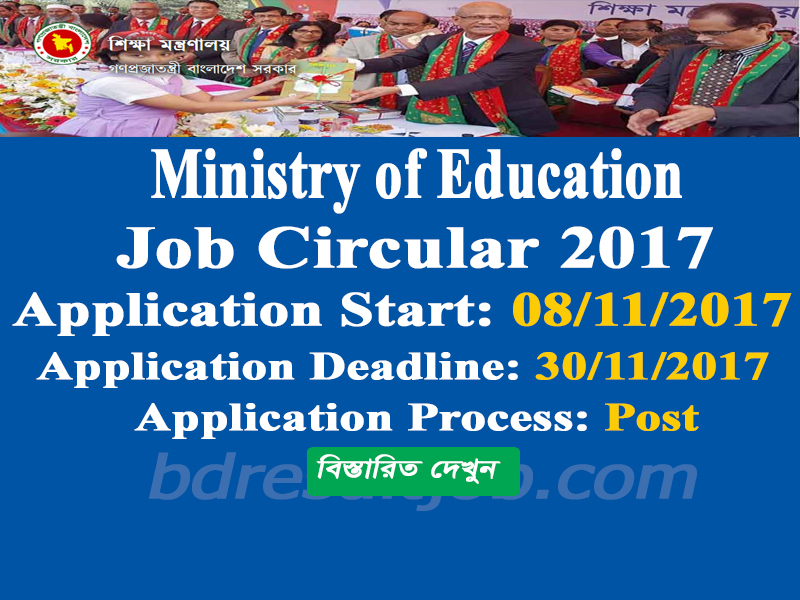 Tags: www.moedu.gov.bd, www moedu gov bd, www.shed.gov.bd, www shed gov bd,www.dshe.gov.bd, www dshe gov bd, Ministry of Secondary and Higher Education Assistant Programmer circular 2017, Ministry of Secondary and Higher Education Assistant Programmer Admit Card 2017,Ministry of Secondary and Higher Education Ministry of Secondary and Higher Education Assistant Programmer result.